At a business meeting with several people, it is important to explain complicated issues in a simple manner. It is there where a conference room with whiteboard proves itself practical. The following list shows meeting rooms in Munich and surroundings, which are equipped with such a panel. 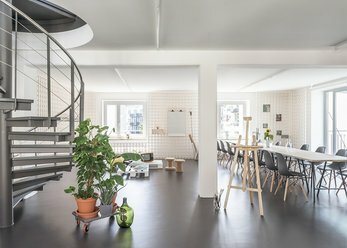 Roof work – the inspiring concept of space in a former motorcycle factory in the middle of the Glockenbachviertel. Open beams and creative seating fit any format. With an open kitchen. Quiet, yet such as ISAR, Marienplatz, Viktualienmarkt on foot are within easy reach. Modern seminar and conference rooms at attractive prices! Call us or come without obligation! built in 1906, the old gas meter workshop served the Stadtwerke until 1967 as the Assembly Hall. The elections building in the North of Munich will enchant with its industrial charm. 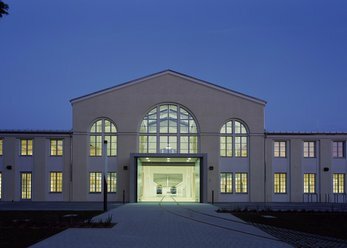 The over 5,000 m² large former industrial Hall, part of the tramway main workshop of the MVG, is home to the new MVG Museum, which documents the history of over 130 of the Munich public transport. 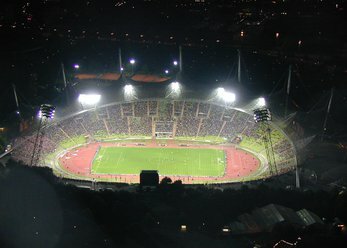 One of the largest venues in Munich. By the experience the events on offer ideal for employee incentives, as well as concerts by internationally of known artists. Central location, good transport connections and plenty of parking spaces. In the heart of Munich, close to the Maximilianstrasse, you will find these prestigious and very well-equipped rooms. 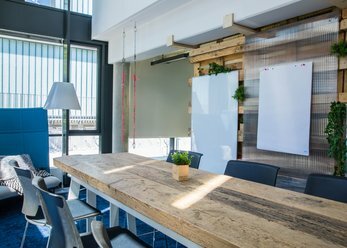 They boast stylish interiors and offer space for meetings with business partners, Board meetings or presentations and receptions. 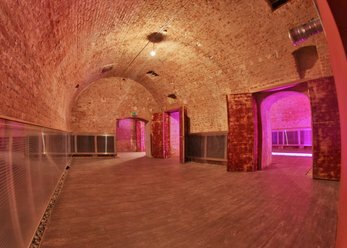 Traumlocation - complete event venue in the heart of Munich for every occasion with large outdoor area, offices and preparation kitchen including gastro or without. The highlight next to the old Vault is a lighted Creek which runs through the location. Pedants and anarchists, early and late, stylishly dressed and Schlabberlook supporters: Welcome to your second home! 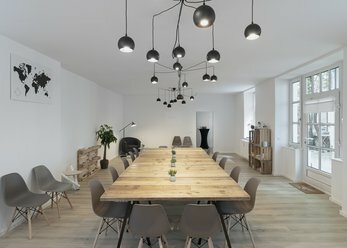 Of some other co-working - and workshop space in Munich Sendling for those looking for a perspective - and a change of scenery for your project. 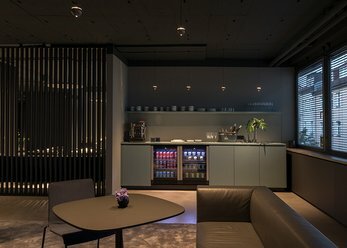 Be our guest in a unique location in the heart of Munich. Creative atmosphere and modern interior without overloading. Book our Studio as a seminar room, meeting room or meeting room. Workshop equipment and Beamer are available. A green place, where in the middle of the busy city life calm and inspiration for new creative ideas can be found. With stunning views of the city from the rooftop terrace with grill station. Full and half day packages, organic catering and snacks. If you are looking for a meeting room for your business event, you have to consider different criteria. The area plays an important role. The more people participate in the Conference or seminar, the greater must be the Conference room. Furthermore, it should be noted the facilities of the soundstage. Are loose and easy to present the topics, various tools are beneficial. This includes also a whiteboard next to a screen with a video projector and a magnetic Board. The latter convinced anywhere where effective solutions are required. Because the term "Whiteboard" comes from English and is perhaps not everyone familiar with, here is a brief explanation: there is a table with a smooth surface made of white plastic or white with enamelled sheet metal, which are special marker pens describe so-called whiteboard or Board markers - lets. To delete words and graphics from the Panel during your Conference, you need only a dry sponge or cloth to wipe. On a metallic whiteboard, you can attach additional magnets, notes and the like. There are various kinds of Whiteboard: apart from the classic signs are including the height-adjustable hub boards or disproportionately large tables with hinged wings. Which Whiteboard is best depends on the objective that has your company in relation to the Conference. According to shows more information about the table, it must be more extensive and flexible. To move the Whiteboard in the Conference room without any problems from A to B, it has roles at best. Contact the building with the vendor of your preferred location. You have as regards the furnishing style of the seminar rooms with whiteboard, the choice between modern, classic and futuristic. Some conference room has regional or specialized styles such as Bauhaus, Biedermeier, Art Nouveau or Art Déco. To make visible the records on the Board all participants, a seating arrangement in U-shape is much better in the meeting room suitable as a block-style seating. You place the Whiteboard at the top before the people, so that the U-shape is more or less closed. 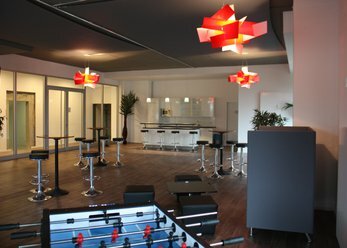 Let the many stylish meeting rooms in different locations in and around Munich to a successful Conference inspired by. You will learn the prices and other conditions when you click details in the respective offer. 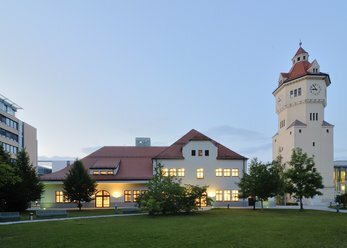 In addition you have the possibility of finding diverse venues for different events in Bavaria. Whether a conference room for your business or a romantic location for a family feast: our Portal helps you find. Use our powerful search function!